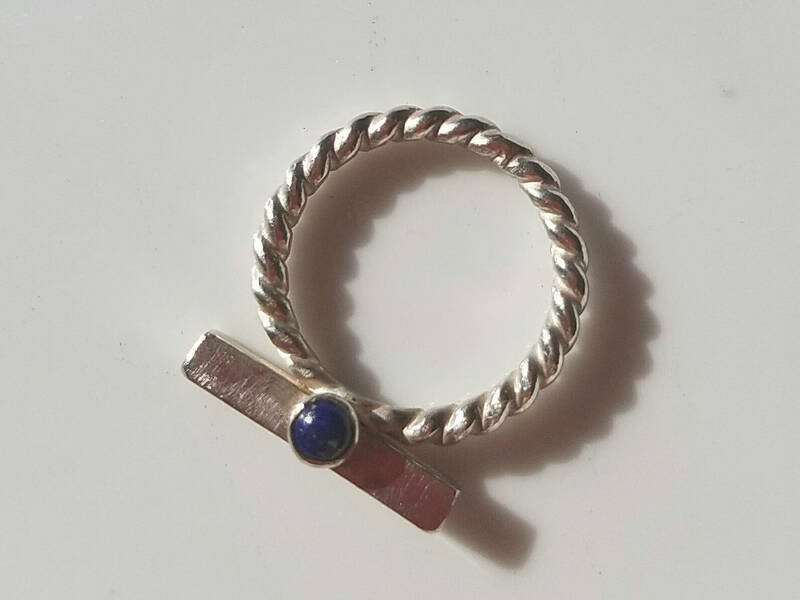 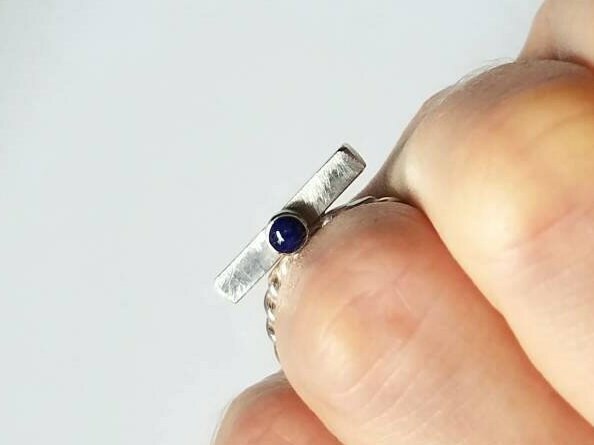 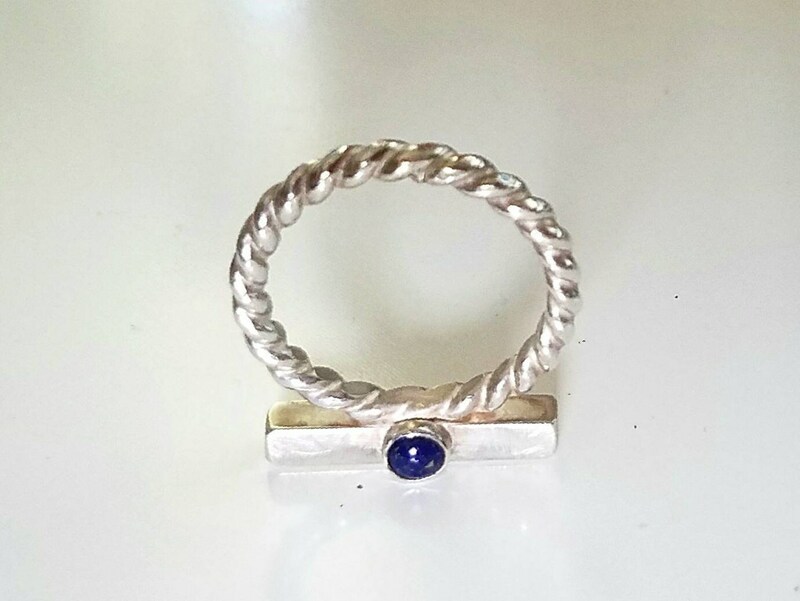 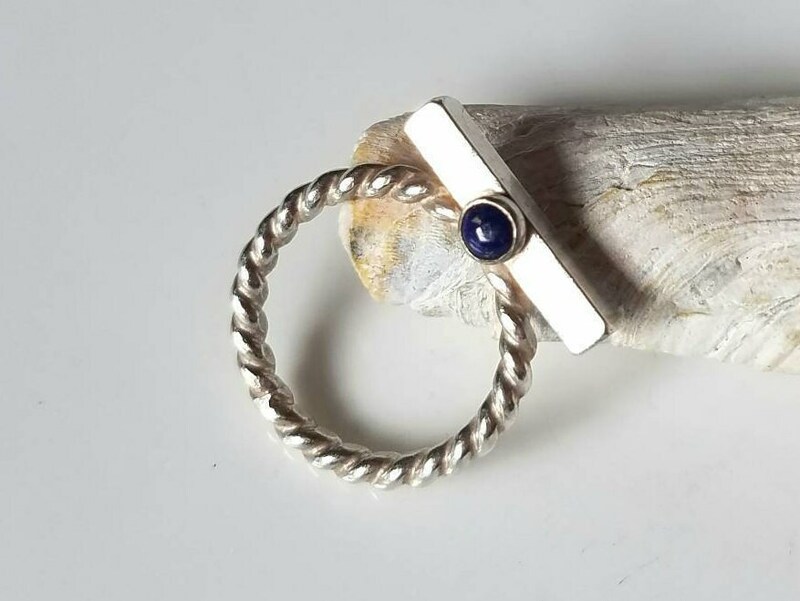 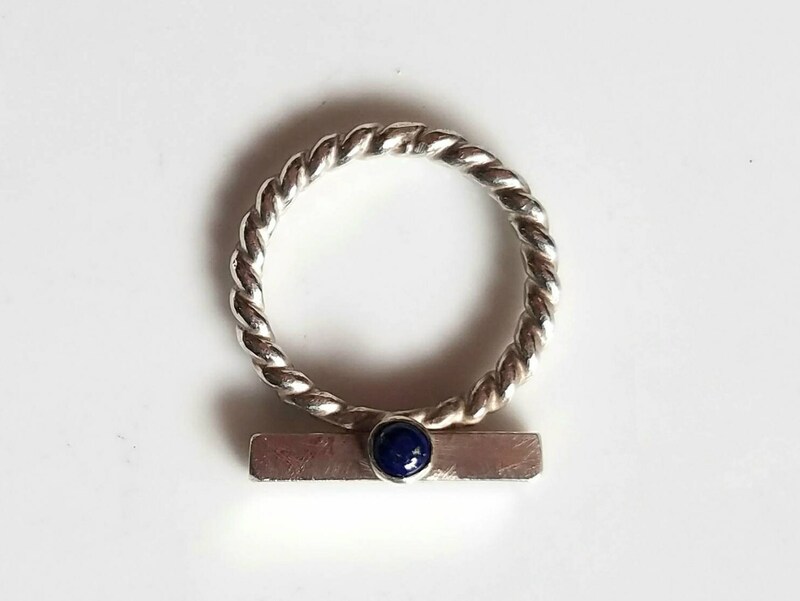 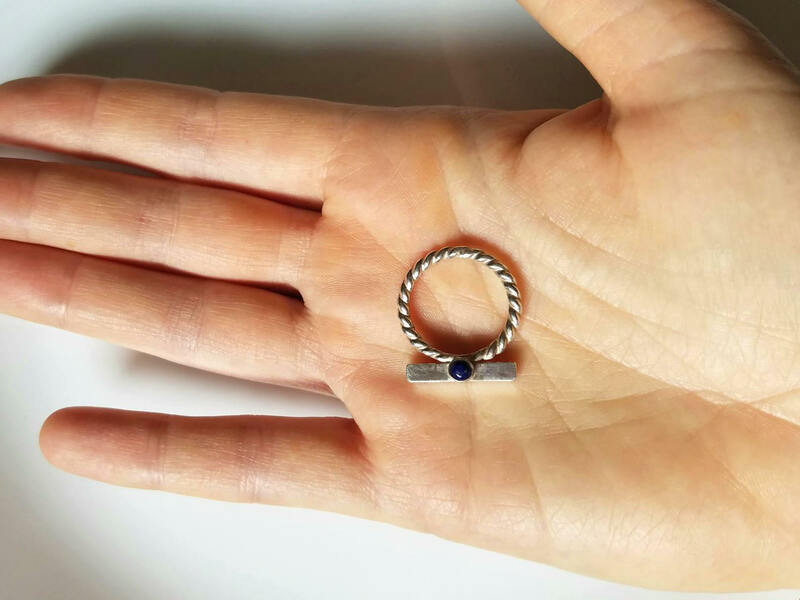 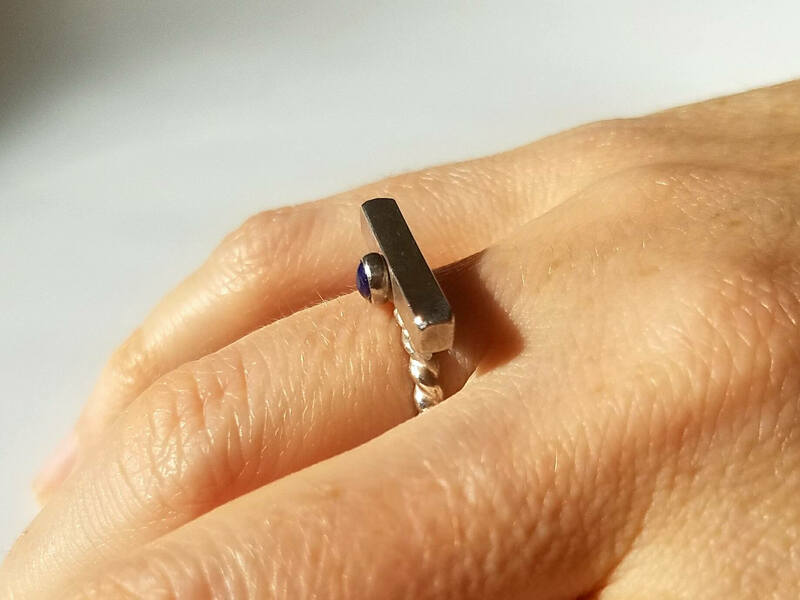 The heavy sterling silver bar perched atop the twisted shank holds a 4mm deep blue lapis lazuli. 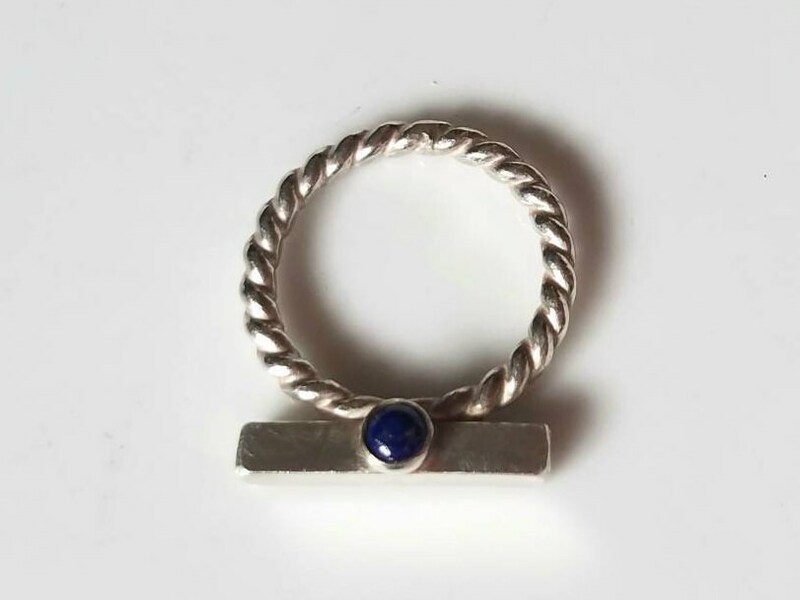 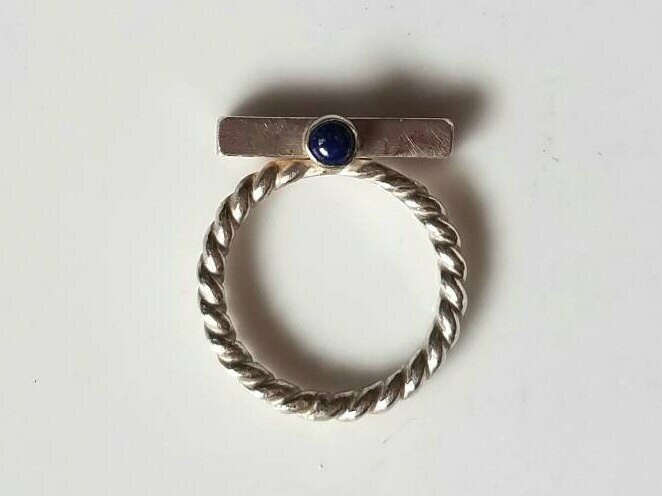 This ring can also be worn as a pendant. 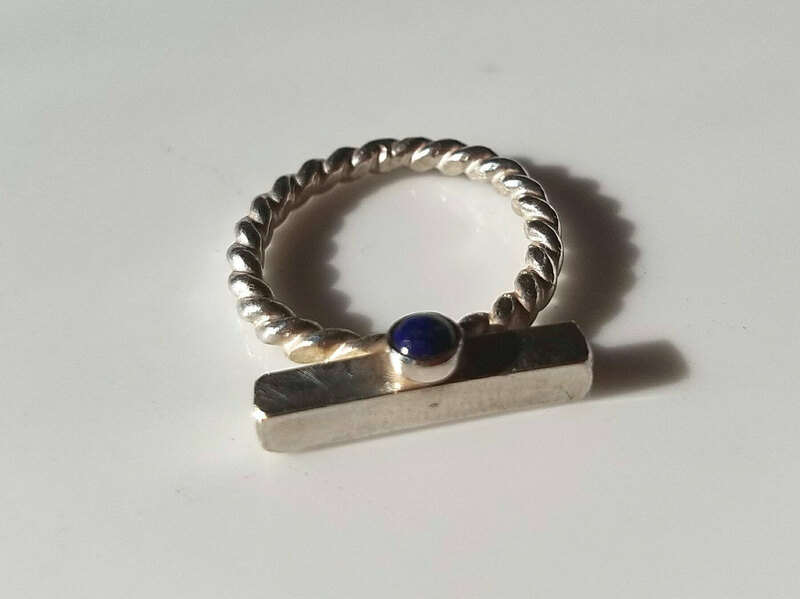 The bar measures 19.25mm by 3.25mm, the band is 2.25mm thick.